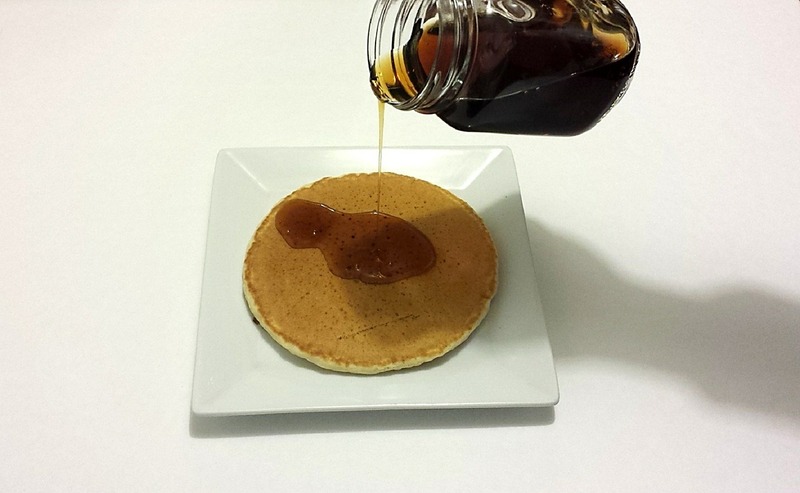 Homemade maple-flavored syrup. Who knew? I ran across this idea in my frugal travels around the internet. It just wasn’t one of the things in my experience database. I don’t remember what we used as a child because I think that pancakes were a rare thing in our house. I do know that, when I grew up, I liked jam on pancakes better than syrup. My local store carried maple extract in the baking aisle, so I gave it a try. It’s nowhere near the real thing. It tastes fine, easily as good as any of the maple-flavored syrups from the store. (Maybe I’m not the best judge of that, though) It is, however, quick and easy to do and there’s a bit of cost savings, too. I used brown sugar but if you want a lighter color, use regular white sugar. Most of the recipes I found online used white sugar. One used a combination of white sugar and brown sugar and one used corn syrup as the sweetener. I think any way you do it, it will be good stuff to pour on the pancakes. In a non-reactive pan, bring water to a rapid boil. Mix in brown sugar all at once. Stir until it is completely dissolved. Remove from heat and stir in maple extract. Pour into a sterilized jar and allow to stand, at room temperature, for 24 hours. Store in the refrigerator for up to 6 months. Posted on August 25, 2015 August 24, 2015 by Twain FarePosted in Food, Frugal Solutions, RecipesTagged copycat recipes, DIY, food, food budget, frugal living, recipes, Saving money.